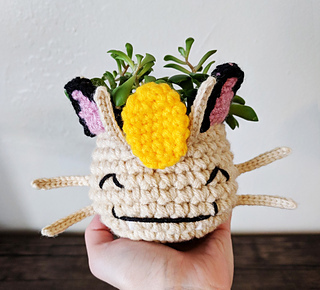 Make an adorable meowth mini planter with this crochet pattern! 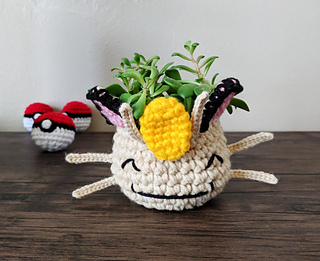 This planter will fit those tiny succulents you find at hardware & home improvement stores, with little plastic pots 2-2.5 inches in diameter and 2-2.5 inches tall. 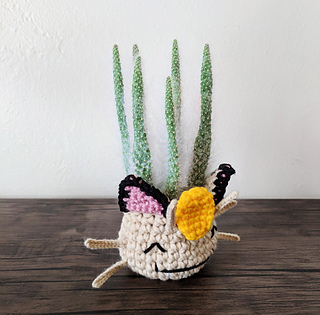 Get a bushy one to really make it look like an oddish. 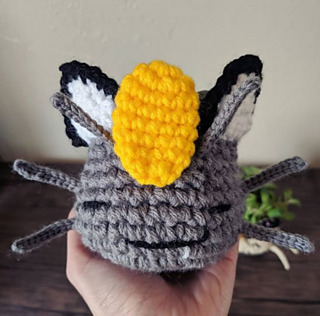 The pattern only includes instructions for one size. 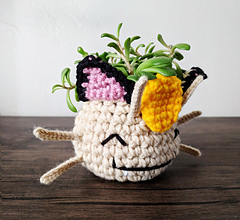 You’ll make this planter with worsted yarn, with a 6mm & 4mm hook.